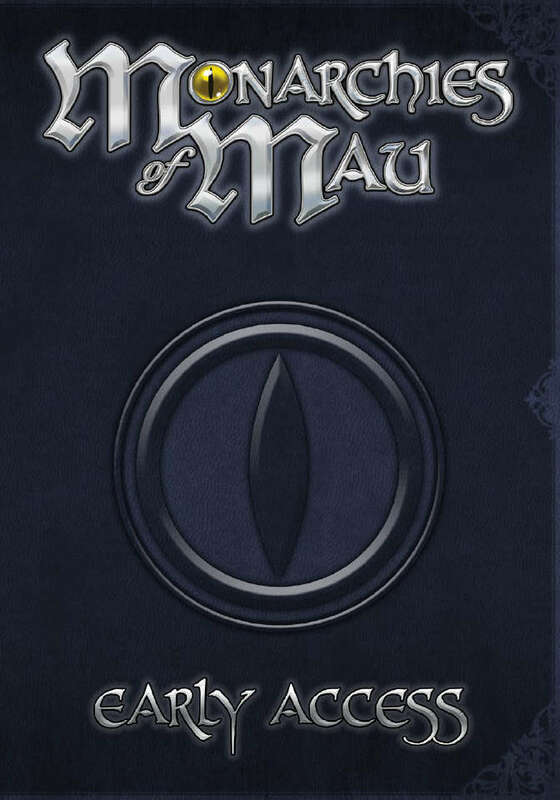 Now Available: Monarchies of Mau Early Access! Now available in PDF and print from DriveThruRPG: Monarchies of Mau Early Access! Cats have inherited the world, unifying their six fractious monarchies after untold centuries. These cats have been uplifted to use tools and language, and they seek to rediscover the ruins of the Old Ones. Some have learned to use the leftover technology of humanity, but they believe it to be magic given to them by their lost worshippers. Others seek to create a cohesive nation, using Precepts of Mau agreed to after years of political conflict. The world is dangerous and mysterious, but the instincts of a good cat will always be true. Monarchies of Mau Early Access is a pre-release, advance look at the upcoming Monarchies of Mau roleplaying game. • A traditional fantasy rules system redesigned for streamlined play and easy creation of heroic cats, with an emphasis on cooperation and action over competition and violence. • A variety of callings and houses that give access to several fun and interesting secrets. • Rival species to interact with, like dogs and rats, along with terrifying and dangerous monsters that roam the landscape. WILL YOU TRUST YOUR INSTINCTS? 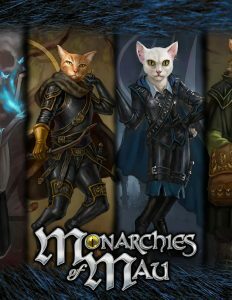 Monarchies of Mau is our cat-based follow-up to Pugmire, set in the cat monarchies adjacent to the dog kingdoms. 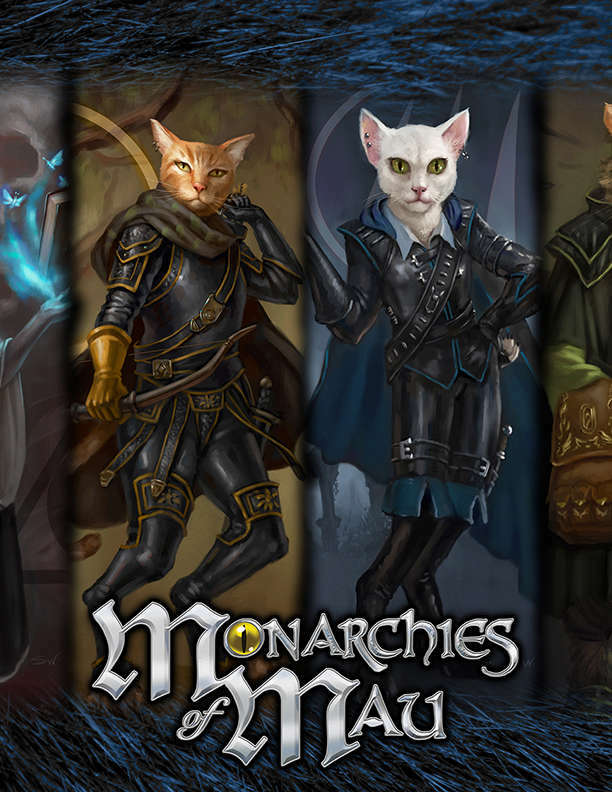 Also available: Monarchies of Mau Wallpaper! A selection of electronic wallpaper files featuring a collage of the art from Monarchies of Mau. Is there going to be a freebie version for Backers? I was wondering the same thing. I went to check my Backerkit for a copy of this and was surprised not to see it. Our first Update of the Monarchies of Mau Kickstarter, Backer Update #1, contains a link to the Monarchies of Mau Early Access PDF for backers. Thanks!